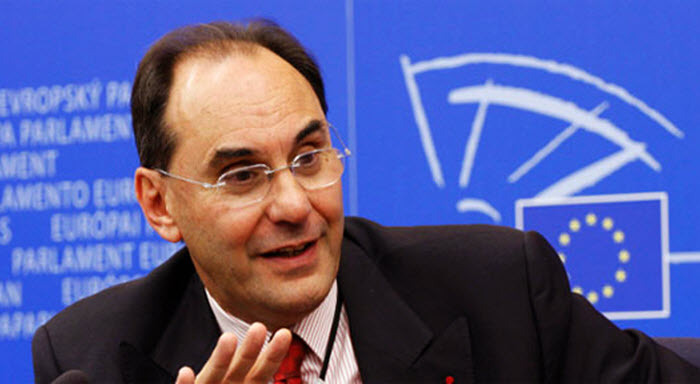 Alejo Vidal-Quadras, the former vice-President of the European Parliament and a prominent Spanish professor of atomic and nuclear physics, penned an op-ed for Fair Observer criticizing the EU’s approach to the Iranian regime. The professor cited the regime’s latest appointment of Ebrahim Raisi as head of the Iranian judiciary as yet further evidence that the regime remains committed to stifling political dissent at home and abroad. A recent Amnesty International report into the 1988 massacre, in which the Iranian regime killed more than 30,000 political prisoners, mainly supporters of the People’s Mujahedin Organisation of Iran (MEK), asserts that Raisi was directly involved in the roundup and execution of the political prisoners. He was part of a “death committee” in Iran that sent tens of thousands of Iranians to the gallows. For Vidal-Quadras, the evil deeds of 1988 have been compounded by the reluctance to bring those accountable to justice in the subsequent years. “This crime against humanity is not only an insufficient cause for investigation and punishment of the perpetrators but a source of pride for its instigators,” he lamented. For Vidal-Quadras, the EU has been duped. It has fallen into Tehran’s trap of believing that there are two warring factions; one made up of religious hardliners and one of more placid moderates. As Europe rushed to appease the Iranian “moderates”, the regime received financial aid it could use to repress its people and carry out human rights abuses. The appointment of Raisi, a “mass murderer”, to the head of the judiciary shows that there is no such division. There are only hardliners. Vidal-Quadras calls on the European Union and its foreign policy chief, Federica Mogherini, to add Raisi and other senior figures of the regime leadership to the EU’s sanctions list. “Europe must work forcefully for the right of Iran’s people to live in freedom and democracy,” he said.